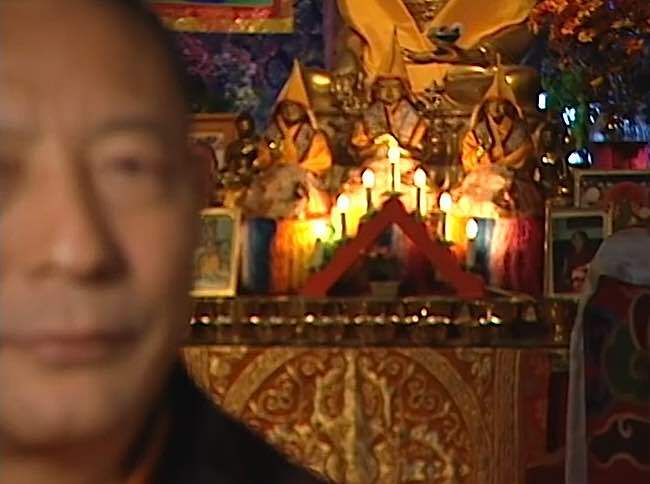 PART 3 OF A 3-PART FEATURE INTERVIEW WITH VENERABLE ZASEP TULKU RINPOCHE. Buddha Weekly: Can you share any suggestions for students trying to find a qualified teacher? Zasep Rinpoche: That’s a difficult question. You have to decide what you want in a teacher. 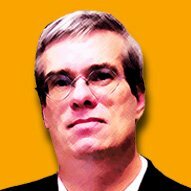 If you are new to Buddhism, and looking at a particular teacher, you should find out their background. You should go to their talks and teachings. Where did he or she study? How many years retreats has the teacher completed? What kind of study he or she did. 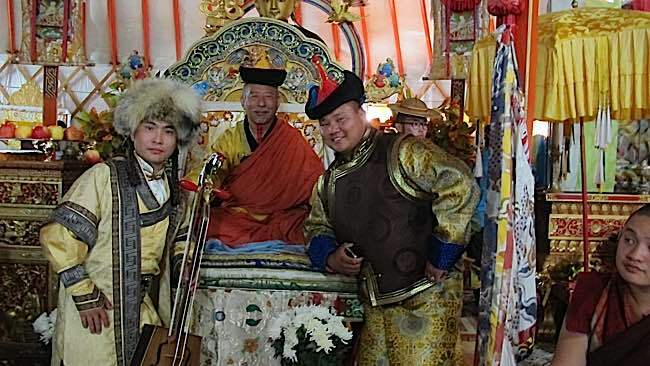 Zasep Rinpoche (centre) demonstrates a well-rounded relationship with his students. 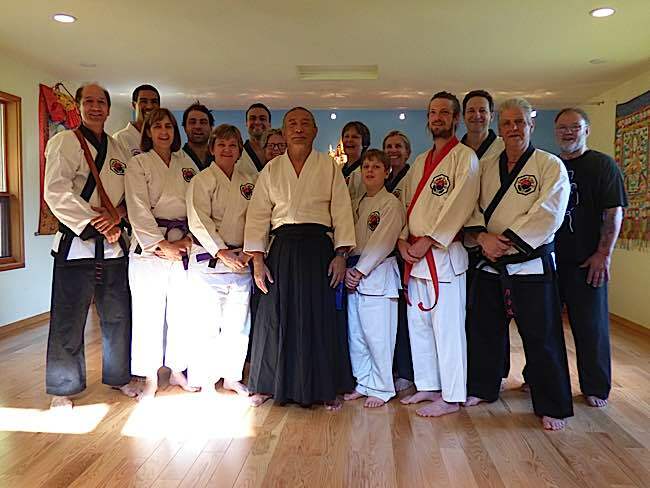 Like himself, some of his students practice martial arts. Here, his martial arts students from Australia came for one of the five working retreats (Karma Yoga) to help build a new retreat temple in Nelson B.C. Rinpoche is also an Aikido practitioner and practices Laido sword art. Then, the next thing is, okay, you’ve found out the teacher has good qualities, but then you need to look at his or her personality. Some teachers are very, very strict, and very demanding, some teachers even seem a little big harsh. They may be good teachers, but maybe a little too harsh for you? Some teachers have done lots of studying, lots of meditation, but they’re not really willing to spend a lot of time with you. They might be too famous, or too busy, or they come and go. Some High Lamas show up every ten years, then they’re gone. How can you be a student? If you attend a teaching with a High Lama, but you never even get close to him, you can’t really say “He’s my Guru.” You don’t have a relationship, right? Like a Guru from long distance. You have to go around, listen to teachings, listen to different teachers, then decide. Buddha Weekly: How does someone who’s interested, get started in Deity Yoga? Zasep Rinpoche: To get started, if they’re interested, they should look at taking initiation in a lower tantra. Not higher tantra. Green Tara, Medicine Buddha, Manjushri. Then, after initiation, do the sadhana practice. Or, if he or she is not ready to take initiation, they can recite the mantra and do a little bit of visualization of the deity in front of you. You can imagine light emanating from the deity to you. Purifying light descending and dissolving into you. Together with the mantra, that would be a good way to start. Buddha Weekly: Why do you think Deity Yoga is growing in popularity in North America and Europe? Zasep Rinpoche: When you do Deity Yoga, right away you feel calm and peaceful. People who take up Deity Yoga already understand the four noble truths. They’ve already seen suffering and the cause of suffering. Deity Yoga is very helpful, and it’s good for busy people. You asked before about practice for busy people. With Deity Yoga, you can do your practice anywhere. You can say mantras in the car. When you are stuck in a traffic jam for one hour you can say mantras. It also keeps you calm, so you don’t get frustrated in traffic. Venerable Zasep Tulku Rinpoche giving teachings on Medicine Guru (depicted on tangkha behind) to a large audience. Medicine Guru is one of the most popular meditational deities, a serene being known for his vow to help sentient beings and praised for his healing energy. Photo Credit: Shivankur Sharma, Skycave. Buddha Weekly: When do you find time to do your own practice? Zasep Rinpoche: I do my mantras when I’m on a plane. I do my mantras when I’m on the subway. I travel a lot. I sit on the plane, have a cup of tea, then do my mantras. I do my practice first, then maybe try to get some sleep. Buddha Weekly: What’s the best way to explain wrathful deities? Sometimes they are misunderstood. Zasep Rinpoche: Yes, that’s a good question. We have wrathful deities like Yamantaka, Hayagriva, Kalarupa, and so on. When you do wrathful deity practice, you visualize yourself as the wrathful deity. It gives you energy. You feel like “I am strong” and “I am protected.” But before you do wrathful practice, you start with lower tantras, the peaceful deities. And, every time you do any of these practices, first you meditate on emptiness. You start with the Sanskrit mantra, Om Svabhava Shuddo and so on, “every thing becomes voidness.” Then you visualize your consciousness arising as a seed syllable, then the deity. So, when you do these practices, this “I” — ordinary man or woman ego — is already gone. You transform the I, or ego, by meditating on emptiness. When there is no self, who is there to be angry? Who is there to be terrified? Yamantaka practice is a Highest Yoga Tantra practice. The fierceness and attributes carry symbolic meaning. Of course, from a Western cultural background, wrathful deities can be misunderstood as demonic because of their appearance. We have a praise to Yamantaka, that says, “Out of your compassion, you show your wrathful face.” When you pray to wrathful deities, you feel protected. You feel, He is my protector. He can protect me from obstructions and negative forces. He or She is like your warrior. It’s like martial arts self defense. For example, I go to Mongolia every year. Many Mongolians have names like Yamantaka or Hayagriva. In the Mongolian cultural background, they like fierce names. They feel protected. 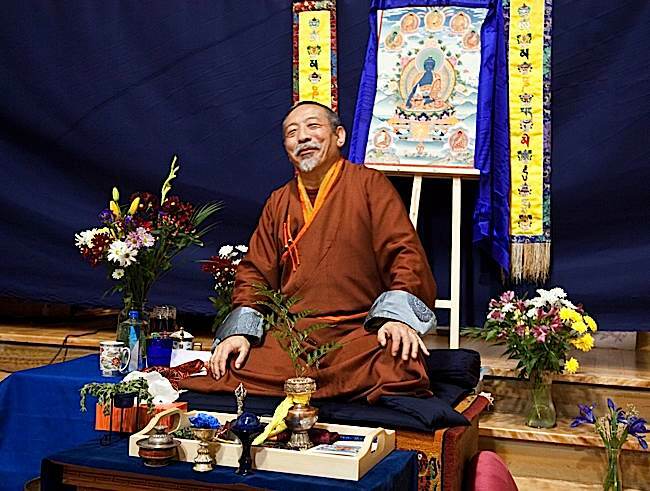 Zasep Tulku Rinpoche teaching in Mongolia. Wrathful deities are very popular in Mongolia. Buddha Weekly: Can you speak a little about Deity Yoga practice in Tantra? Zasep Rinpoche: Don’t be a spiritual materialist. 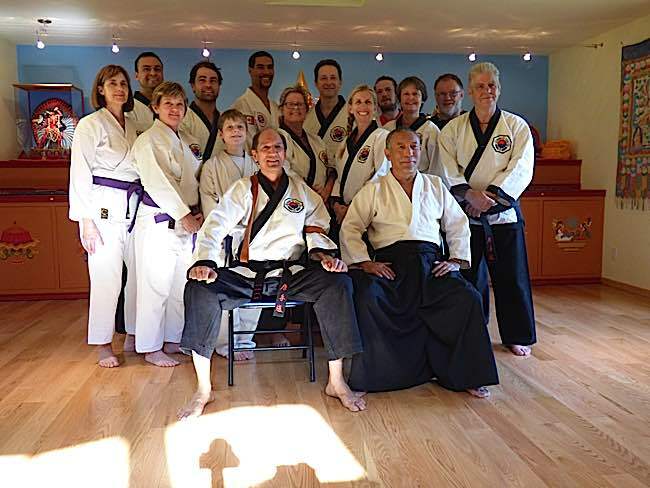 You need a good base in Sutra and Lamrim practice. Then, if you want to do Deity Yoga you don’t try to jump. Don’t rush. Practice Lower Tantra first. See, the thing is, Lower Tantra doesn’t mean they are “lower.” In other words the lower tantra is not inferior to higher Tantra. They are the same deities. For example, Manjushri is a Kriya Tantra, a lower Tantra deity. But Manjushri is the same as Yamantaka. No difference. 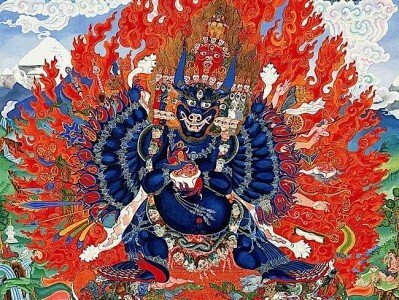 Yamantaka is Higher Tantra. 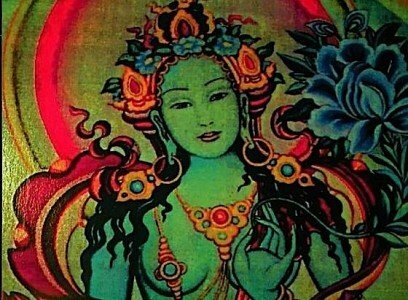 Tara is the Lower Tantra practice. But you have a Higher Tantra practice called Chittimani Tara. Then, we also have Vajrayogini, which is also an emanation of Tara. Lower Tantra is designed for the beginners. It’s like the beginner’s “form” when you study martial arts. You need to master that first, before progressing. Buddha Weekly: You said Vajrayogini is an emanation of Tara. Can you explain what you mean? Zasep Rinpoche: Tara is the Mother of all the Buddhas. 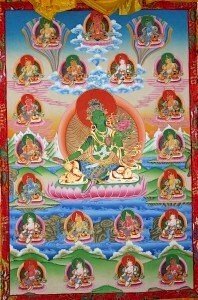 You could say that almost all the female deities are emanations of Tara. Not just Holy Vajrayogini, but Kurukulla, Black Dakini, all of them. A 21 Tara tankha. Tara, like all Enlightened Buddhas, has many “emanations, or aspects. Buddha Weekly: How do students know when they’re ready for a Higher Tantra? In Tantra, we call this “Yidam” which means “heart bond deity.” You have to have the heart bond connection. Then, at the last, you go to the Guru. And ask your Guru. That’s the point of having a Guru. If the Guru says, no, then you don’t do it. If Guru says, “go ahead”, then you take it. So, the Guru can be very helpful! (laughs) Your spiritual friend. Buddha Weekly: How important is meditating on death? 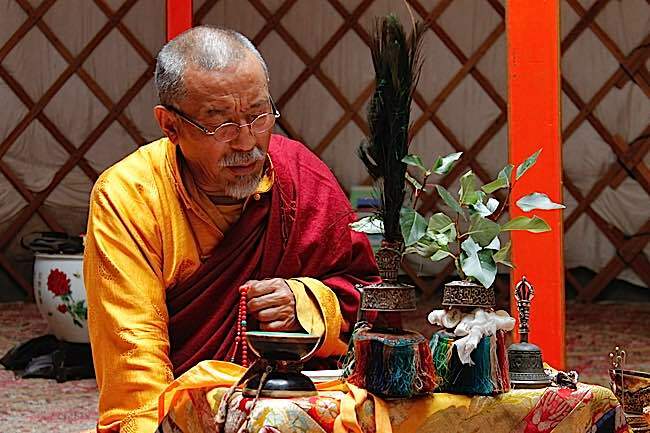 Zasep Rinpoche: Generally, meditating on death and dying is very important. In Lamrim, it says, “Meditating on death and dying helps motivate Dharma practice.” Life is too short. Death can happen any time, you don’t know. As we get older, we know we don’t have much time left. I’ve got maybe ten years, fifteen years, maybe twenty years. So, the time goes fast, and death’s going to happen sooner or later. So, meditating on death is very helpful to motivate Dharma practice. Also, meditating on death and dying is helpful for other people. For instance, you know someone is dying, like family members — or some people work around people who are dying, like a palliative nurse or doctor — so it’s good to know more about how to be helpful in these times. Powa practice for the dying can be helpful. Zasep Rinpoche talks about a “mild” Powa, “Powa for the West”, where we help guide a family member (or talk gently to a palliative patient). 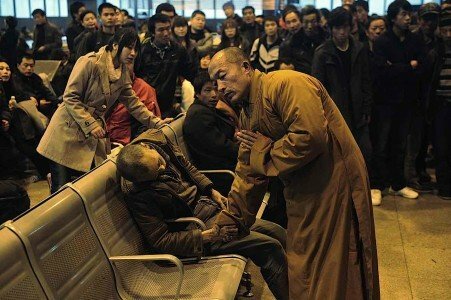 Buddha Weekly: Is Powa practice helpful for the dying (Transferring the Consciousness)? Zasep Rinpoche: Powa is a Tibetan word, it means “transferring the consciousness.” I usually say, not everybody should practice this. I don’t want to give people the wrong idea. We do Powa practice as a training. 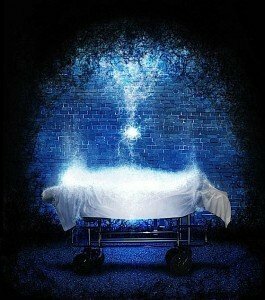 When you know you have some illness or you are dying, if you think death come soon, then it’s a good time to practice. But Powa requires instructions. In traditional Powa practice you have visualize chakras and channels and so on. 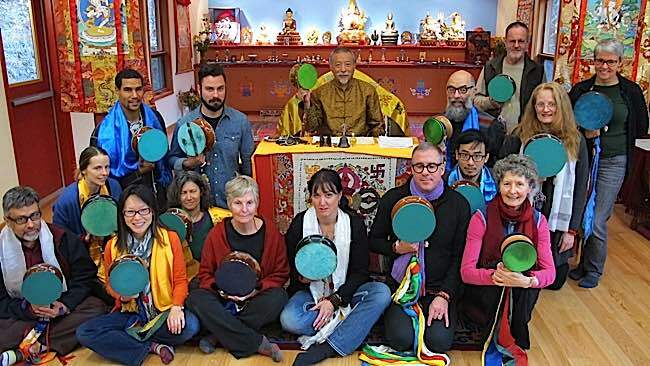 Zasep Tulku Rinpoche teaches Chod practice to advanced students. But, you can do a non-traditional Powa—mild Powa, a simple kind of Powa—for other people. Sort of guiding. I call it Powa for the West. For instance if you’re a family member, or in palliative care, and you talk to the patient, you might say as they are dying: “You know you are dying now. Let it go. You should go peacefully. As you go, imagine you are going to the Pure Land, or going into the Light, or into Eternal Bliss or Nirvana.” You could call this kind of help, Powa for the West. It’s not traditional Powa. I’ll tell you a story of a Zen Master. He was dying. And he told his attendant “Bring me my favorite cake!” Rice cake. While he was munching the rice cake, his consciousness slipped away. He slipped away while enjoying his rice cake. In a way, this was a kind of Powa. He enjoyed his rice cake peacefully, and no sign of struggling, fear, worry, just passing the consciousness peacefully, happily. Zasep Rinpoche at formal teachings in Mongolia. Buddha Weekly: How has the internet changed, helped or hindered Dharma practice? Zasep Rinpoche: Generally, it has a positive effect. It’s beneficial to have easy access to teachings on YouTube, and you can download material, pictures and sadhanas and you can find so much information. It’s generally useful and helpful. It all depends on the individual. Internet can be very impersonal, you know? It can also be addictive. Even some monks, now, instead of holding malas and doing mantras, they have their phones in hand, sending messages, text messages. In some ways it’s nice. The monks even use chat for spiritual debating. But in some ways it’s really bad. Instead of doing mantras and practices, they spend time online. Also, people feel like, “Oh, I don’t have to get in the car and drive forty-five minutes to go to the Dharma Centre and meditate, I can just watch some teachings from a Lama on YouTube.” But the problem is, there’s no personal connection. Some people like that, especially if people are very shy. Zasep Rinpoche and his students from Australia who helped build a retreat centre in Nelson, B.C. Canada. Buddha Weekly: Can you receive initiations online? Zasep Rinpoche: No, I disagree with that. I mean there is a question about giving “lung”, transmission of mantra, because all you have to do is hear the voice, right? That’s okay. But, giving initiation, you have to be in front of the person. You have to go and prostrate, or drink the saffron water. Lama has to touch the person’s head. You have to be there. You have to be in front of the mandala. Online, you can’t really do that. You’re really diluting and making it very impersonal. Buddha Weekly: You’re performing a gay marriage today? 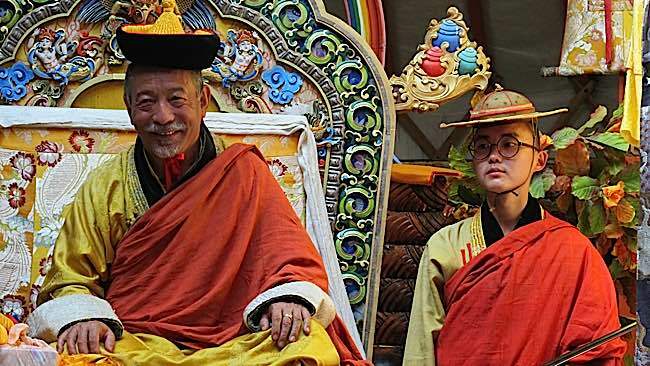 Zasep Rinpoche: Yes, a very lovely couple. I officiate many weddings, and often gay marriages. I’m licensed in Ontario and BC for marriages. I would like every one to know I celebrate both gay and non gay marriages. Zasep Rinpoche: Thank you. That was good. ISBN-13: 978-1559392983, Snow Lion 2009.